Pep Guardiola insists Manchester City were not "disrespectful" in their 'All or Nothing' documentary series following criticism from Jose Mourinho. 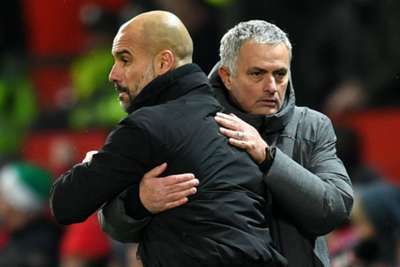 The show, which chronicles City's Premier League title-winning campaign last season, drew Mourinho's anger having portrayed his Manchester United side negatively when narrator Ben Kingsley described last December's derby as "possession versus defence; attacking football versus park-the-bus". Mourinho responded by telling Sky Sports: "You can have a fantastic movie while respecting others. You don't need to be disrespectful to have a fantastic movie. 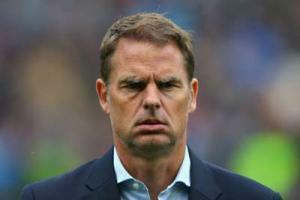 "You can be a rich club and buy the best players in the world, but you cannot buy class and they showed that clearly, that was really obvious." However, speaking at a press conference following Sunday's 6-1 win over Huddersfield, Guardiola rejected Mourinho's accusation. "You cannot buy class, I agree with Jose, we cannot buy class," he said. "I think we live one amazing season last season, there was cameras, we do it for ourselves. I'm not agreeing with Jose in terms of [being] disrespectful. "This was not our intention, [it was] just filming what happened last season. It's a club that tried to grow, to try to win titles, like all the big clubs in the world and we did it for ourselves, for our fans and to see what happened inside the locker room. "But it's Jose opinion, other guys are going to say we like [it], another guy says, 'No'. It’s simple like that. But, of course, I agree with him – the class, you cannot buy it."